Investigative business reporter, Lana Wallace, has covered crimes for the past ten years. But nothing prepared her for the dolls: prototypes custom created to speak, act, look and feel like a real woman. They're the perfect companion. But why are their owners being found murdered? Perhaps looks can kill. A mighty hand clap for the MasterClass winner, Kecia Bal! I really enjoyed reading this book that she co-authored with James Patterson. What an honor! I could tell she implemented some of the lessons learned in the MasterClass. It only motivates me to continue the class and hopefully finish with a manuscript of my own. 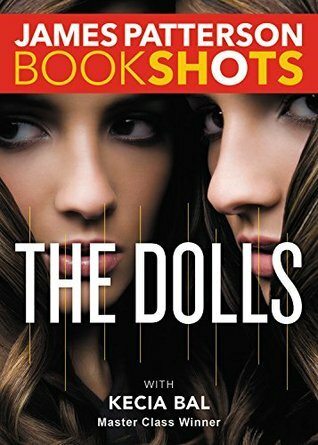 The Dolls was original, page-turning, and easily devoured in a couple hours.